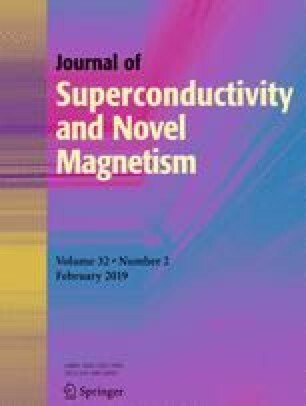 In the paper, we have studied the effects on glass forming ability (GFA), microstructure, crystallization behaviors, and saturation magnetization (Ms) of Si substitution for P in Fe-rich Fe86B12SixP1−xCu0.4Hf0.6 alloys. The amorphous structure is identified by X-ray diffraction first, and the patterns with Si addition less than x = 0.75 only show one halo scattering peak at 2θ = 45°; further, the ribbons with entirely amorphous structure have been fabricated successfully and the alloys have a good GFA. Then, by differential scanning calorimetry testing, the curves show two separated exothermic peaks and the ribbons will go through a two-step crystallization before reaching stable state; further, the first peak is ensured by the crystallization of a-Fe phase while the second peak is ensured by the precipitation of FeB or Fe(BP) compounds. As Si was added, the apparent activation energy of the first crystallization (Ea1) and the second crystallization (Ea2) shows an increased tendency first and then decreases slightly. By comparison, as x = 0, x = 0.25, and x = 0.5, the ribbons easily form Hf3P2 compounds during the first crystallization process simultaneously, where the ribbons of x = 0.75 and x = 1.0 are easier to finish the first crystallization for forming the uniform a-Fe phase entirely. By vibrating sample magnetometer testing, with the addition of Si, Ms value shows an increased trend and reaches to the maximum about 177.5 emu/g (x = 1.0), and which shows an increased trend in the subsequent annealing process and reaches to the maximum 206.3 emu/g (x = 0), 212.3 emu/g (x = 0.25), 214.2 emu/g (x = 0.5), 214.9 emu/g (x = 0.75), and 208.3 emu/g (x = 1.0) as the annealing temperature higher than Tp1 but less than Tx2. This work is supported by the Specialized Research Fund for the Doctoral Program of Higher Education (No. 20124420110007), the Demonstration Dase Fund for Joint Training Graduate of Guangdong Province (No. 2013JDXM27), the National Natural Science Foundation of China (No. 51201038) and the National Natural Science Foundation of Guangdong (No. 2015A030313488).